The Division boasts many hours of main missions, side missions and encounters that take you on a steadfast journey to Level 30. After reaching this magic number the end-game content kicks in and Manhattan changes to accommodate the player's new achievement. Level 30 is just the beginning of the end-game content in The Division. At this point new activities are unlocked and a new scoring system comes into play - switching from the traditional level progression to a gear based score instead. The biggest change upon reaching Level 30 is the switch from Levelling to Gear Score. You stop levelling above 30 and instead look for suitable gear to increase your Gear Score. This is an RNG progression system rather than a linear XP progression system now. Any gear picked up after Level 30 will have a particular Gear Score. The combined tally of all your gear will influence your total Gear Score. This score isn't just an arbitrary figure either, it's important for Incursions and end-game content coming in DLC's. Main missions have three difficulties: Normal, Hard, Challenge. Normal mode is the default difficulty setting and its also the lowest difficulty. Dring normal mode enemy levels will match the recommended level for the mission. So for example if the recommended level for a mission is 14 then playing on normal mode will spawn level 14 enemies (maximum). Hard mode is the next step up, offering greater rewards for greater risk. During Hard mode, enemies will scale to match your character level. So for example if your level is 20 then enemies will match that level rather than following the recommended level for the mission. Challenge mode is the highest difficulty tier for main missions. Challenge mode is one of the new activities unlocked upon reaching Level 30. It is extremely difficult, with increased AI levels and much tougher enemies (all Elite or Legendary level). Some enemies will be able to kill you in two shots. The big difference between Challenge mode and the other difficulties is that 30 Phoenix Credits are awarded for completing the mission. Thankfully Challenge mode does have matchmaking. Daily missions are a rotational mission that changes every 24 hours. It's essentially one of the main missions on Hard difficulty but with the reward of 15 Phoenix Credits for completing it. Unlike Challenge mode which can only be completed once for the Phoenix Credits rewards, Daily missions can be completed once a day thus providing a regular income stream for Phoenix Credits. Daily missions also have the luxury of matchmaking. 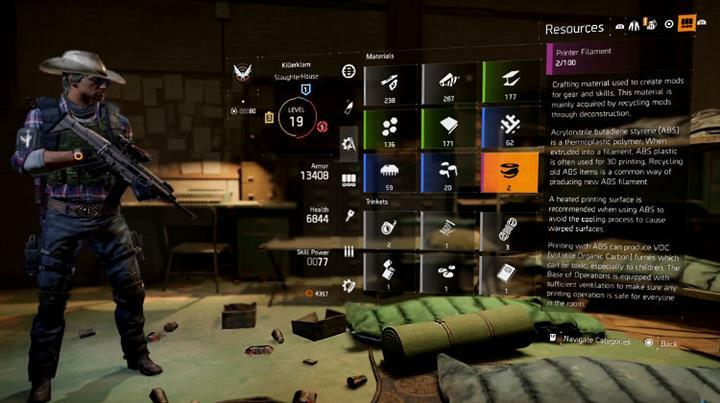 Enemies in the Dark Zone will automatically change to reflect the fact that you're now looking to increase your Gear Score. Rather than scaling to the level of the Dark Zone (1-6), all enemies will be at least Level 30 and at most Level 32 for Dark Zone 6. 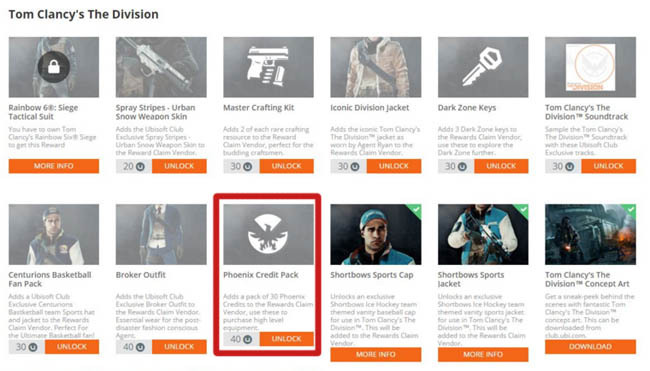 Dark Zone elites (yellow health bar with name) actually have a chance to drop Phoenix Credits. The actual amount they drop ranges from about 6-18 credits making them one of the best ways to farm credits for end-game gear. Although credits are still a valid form of currency in the game, Phoenix Credits become far more important after Level 30. They are the equivalent to Destiny's strange coins and are The Division's official end-game currency. The Special Weapons Vendor at the base of operations (unlocked through a wing upgrade) accepts this new currency in exchange for high end weapons and blueprints. Using a combination of one off purchases and crafting, players can obtain some of the most powerful gear in the game once reaching level 30. Lastly and by no means the least important change, we have Incursions. These are group based activities similar in many ways to Strikes or mini-raids. 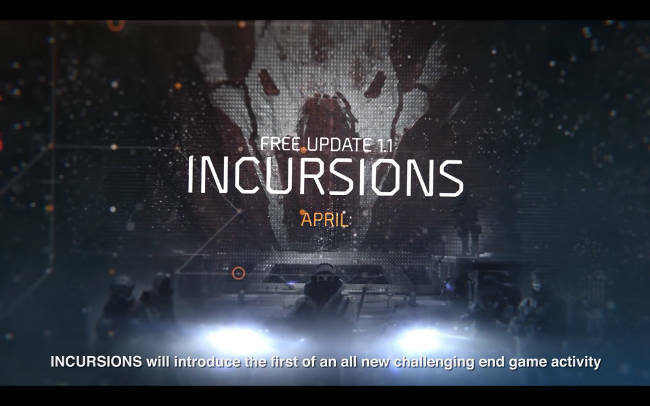 Unlike Challenge Mode, Incursions are locked behind game updates. The first of these updates is in April followed by another one in May. Both are free and there will be many more to come with DLC packs. Incursions offer unique Gear Sets as a reward that you cannot buy elsewhere in the game. They have unique talents and bonuses making them highly sort after.